When you have fine strands and a scalp condition, your styling options are limited. Too much styling can lead to breakage and too little washing creates an irritated scalp. The daily manipulation from twisting, braiding, and combing are not ideal for retaining length and going longer than a week without cleansing your scalp is uncomfortable. Dry shampoo, witch hazel, and coconut oil do not replace shampoo and are not simple solutions for everyone. The combination of having delicate strands and an agitated scalp are not ideal for styles like Senegalese twists and Havana twists, because of the tension on the hair and your partial access to the scalp. After months of following The Wrap life, I finally decided to order some head scarves (seven to be exact) and now I’m addicted. I use to exclusively wear my hair loose but now I’m obsessed with head scarves. The only time I wear my hair loose is for filming purposes at work. Here are three reasons why wearing head wraps are the perfect low maintenance protective style for everyone. When you have a scalp condition, a weekly wash day is either mandatory or preferable. Going longer than seven days without washing my hair does increases my detangling time and warrants more than one shampoo application, which is exhausting and not ideal for coily hair. Wearing a head wrap allows me to maintain a healthy scalp and moisturized hair. With practice it only takes a minute to transform your head scarf into a head wrap and a few second to remove it. 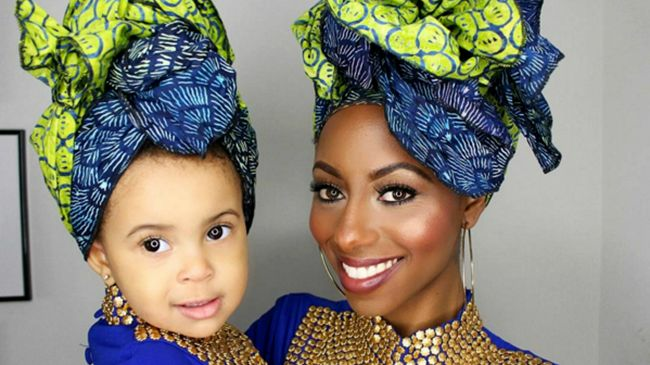 The Wrap Life has an array of head scarf options to match your style along with tutorials on their YouTube channels. Whether you like bold prints or solids, you can be on your way to the ultimate and most fashionable protective style. Everyone is neither skilled nor has the time to dedicate to making intricate updos, so a head wrap is a great alternative, especially if you have fine and not coarse strands. Wearing your hair loose leaves your ends vulnerable to creating friction with your clothes, causing split ends that need a trim. Twisting or braiding your hair and covering it with a head wrap will ensure that moisture does not wither away. When rocking a cotton head scarf, remember to cover your hair with a satin scarf before creating a head wrap. Using products that are formulated with a lot of butters and oils can wreak havoc on your skin. If you are struggling with acne that is not hormonal, then the problem may be your products. Since I have been wearing head wraps, my forehead has never been smoother. With the nature of textured hair growing outward and falling forward, product may be coming in contact with your face regularly. The first preventive measure is washing your hands and face after washing and styling your hair. With your hair being tucked away, you don’t have to worry about the product touching your face. So now your hair and skin can be fabulous. Have you tried wearing head wraps as a protective style?